The trouble with online DRM in videogames is that if and when a publisher stops supporting it for one reason or another, owners of the game in question are hosed. The game phones home, can't connect to an authentication server, and everything comes to a sudden, unhappy halt. Unofficial cracks can circumvent said DRM, but they're illegal, and more to the point, not always immediately at hand from reputable sources. This is where the Electronic Frontier Foundation's petition comes into play. It seeks to establish legal DMCA exemptions for, among other things, "videogames that are no longer supported by the developer, and that require communication with a server." The exemption would apply not just to games with online checks, but also to those that use "matchmaking servers" for multiplayer, such as Civilization V or Mario Kart Wii. However, persistent worlds "in which the game's audiovisual content is primarily stored on the developer's server and not in the client," which would mean MMOs, are not included in the suggested exemption. The EFF noted that 53 percent of game sales in 2013 were digital and said that while platforms like Steam offer many advantages to consumers, they also "introduce additional failure points" by making another layer of remote servers necessary to a game's functionality. "As games deactivate and servers shut down, the ability to modify authentication controls and start new servers is vital to preserving player communities. Communities can disperse quickly once gameplay becomes impossible," the petition states. "Removing the barriers of the anti-circumvention provision will allow players to continue to explore and play games they already own, and help preservationists remove authentication mechanisms in order to format shift games so that future gamers may enjoy and learn from them." 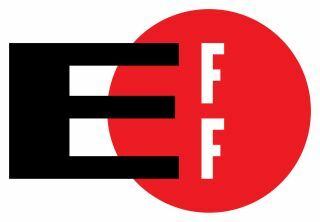 The exemption requests are being filed as "part of the elaborate, every-three-year process to right the wrongs put in place by the Section 1201 of the Digital Millennium Copyright Act," the EFF said in a statement. It described the process as "burdensome and confusing, with high hurdles to success," but also noted that it's the only avenue of redress currently available. The EFF's DMCA Gaming Exemption Petition is available in full here.